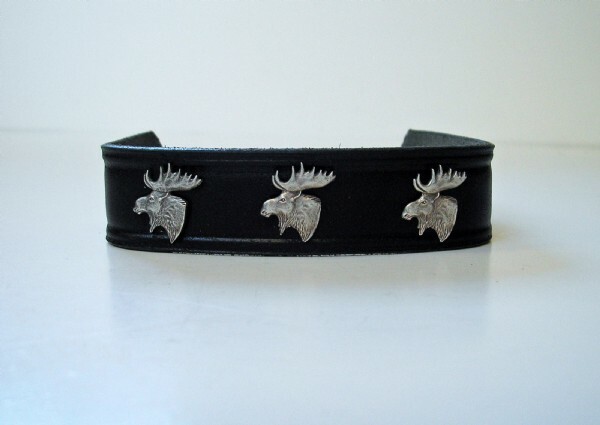 Sterling Silver Moose Heads designed by Wildlife Artist Sid Bell on Genuine Leather Wrist Band. 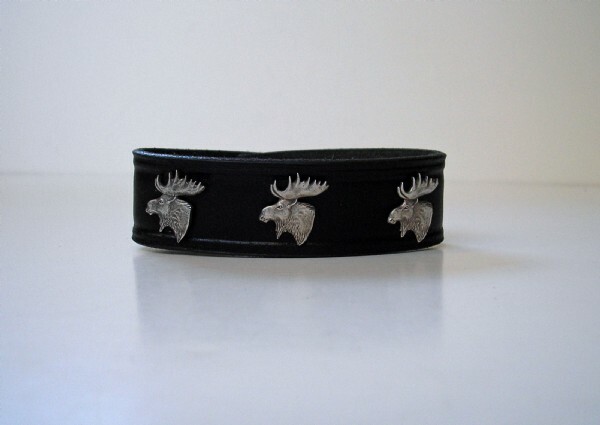 The Band measures 1 inch wide for Men and Women. 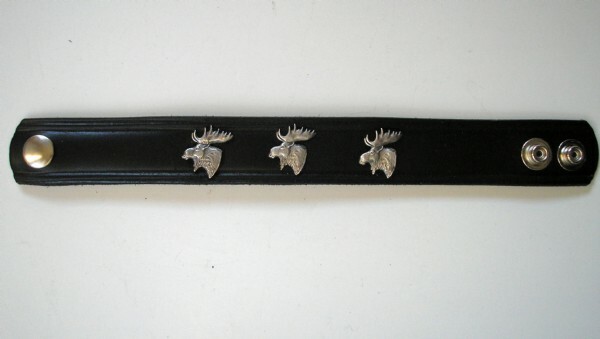 Choose the wrist size in 7 - 8 inch or 8 - 9 inch in Black Leather or Mahogany Brown. Made in the USA.